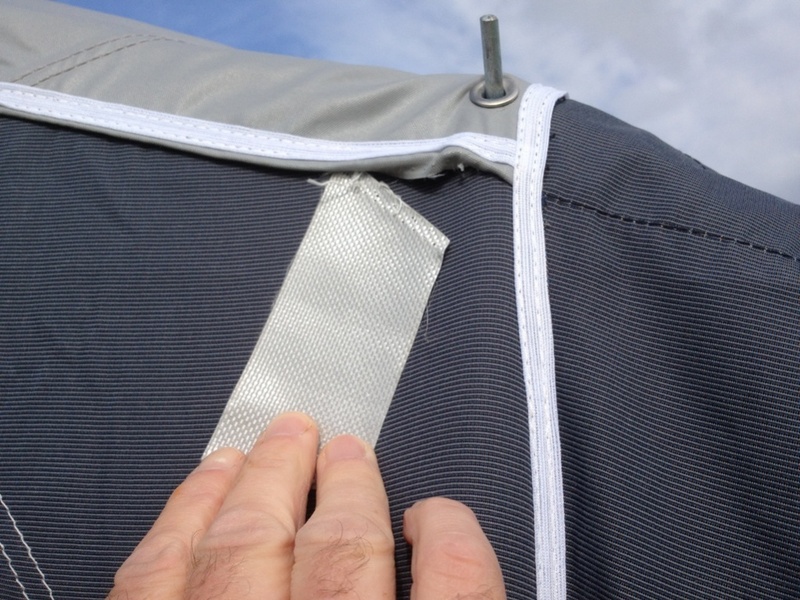 Awning repairs, Midlands or Essex (Colchester area)? 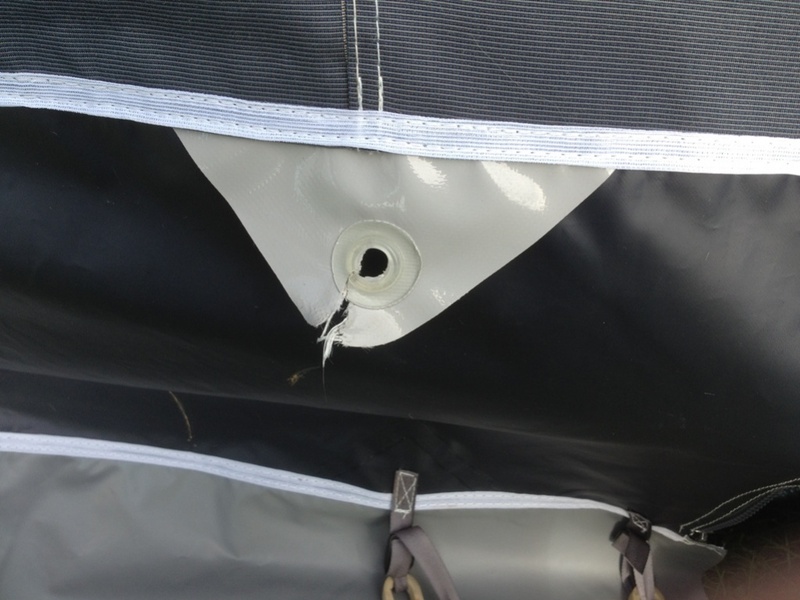 My new awning needs repairing, one of the storm strap buckles has pulled out of the stitching (pulled out with minimal hand-force!!!!!) and one of the eyelets under the window has torn (the guy-rope pulled through it during severe winds). Anyone recommend somewhere to repair it, preferably replacing the material used to locate the storm strap buckles for something more robust? I live in North West Leicestershire but travel to Essex weekly. I'd sooner go with a recommendation than trust an unknown. Gary Hi...You say your New Awning..so what about the Guarantee...I wouldn't be happy if a new Awning I had bought came apart that easily. Have you tried where you bought it from and explained to them. Most Awnings carry at least a 1 year guarantee..and I don't think you should pay for any repairs.!!! Try the Seller..(retailer) and see what they say.. Unfortunately I bought it from Glossop who say if I get it back to them they'll gladly look at it, but they're 85 miles away! Considering the grief I've had so far with this awning (some of it my own fault!) I'd sooner get it done locally & have the storm strap buckles "beefed up" rather than simply repaired back to the same standard as when they were new. Fair enough..I see what you mean...I think there is an Awning repair centre somewhere around Derbyshire...I will have a nosey around and get bac. Recommended on line for Awning Repairs on the Caravan Talk Forum....might be nearer for you.. several folk say they have had repairs done to Awnings by them and highly recommend teir service etc. You're welcome Gary ..let us know who you choose..and any recommendations etc. We have a bit of stitching that George has done on the N.R. so may get it done..if they don't charge too much..